Property owners in Maricopa can get immediate help handling the damage caused by a pipe burst, sewage backup, blizzard, or flood by contacting 911 Restoration of East Valley. 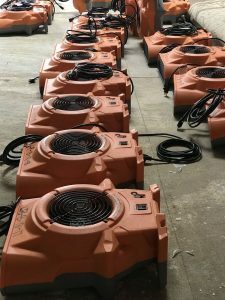 Our crew of water damage restoration specialists can take care of commercial and residential flooding. The IICRC certified techs at 911 Restoration of East Valley are also trained to handle mold removal in Maricopa. Let us focus on mold remediation to ensure this fungus cannot spread through your property after a flood or pipe burst in Maricopa. Crews can even complete mold decontamination to take care of odor removal. Pipe burst emergencies, floods, sewage backups, and other disasters can leave behind tremendous property damage. 911 Restoration of East Valley can mitigate the damage to your home or business with same day service throughout Maricopa. Our flood cleanup techs can reach your property within 45 minutes of an emergency call. Crews can focus on removing all moisture from your property to limit the odds that you will face a mold infestation. If your mold inspection reveals a mold issue, crews can begin immediate mold remediation in Maricopa. Mold removal and mold decontamination in Maricopa are very important if you spot fungal growth in your home or business. Let us return your property to better-than-new condition with mold remediation and water damage restoration services. Water damage restoration in Maricopa often goes hand-in-hand with mold remediation services. Mold grows quickly when excess moisture is allowed inside your home due to a pipe burst, leaking pipe, or flood. A mold inspection can help you discover mold growth before the infestation spreads. 911 Restoration of East Valley has the experience and equipment to handle mold remediation in Maricopa. Our crews can focus on mold decontamination as a part of flood cleanup in Maricopa. As a full-service property restoration company, we can handle all of your restoration needs. 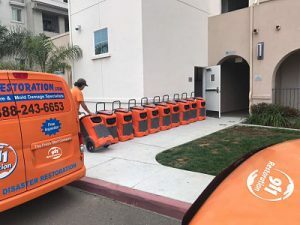 Dedicated water damage restoration and mold removal services can return your property to the perfect condition you deserve.